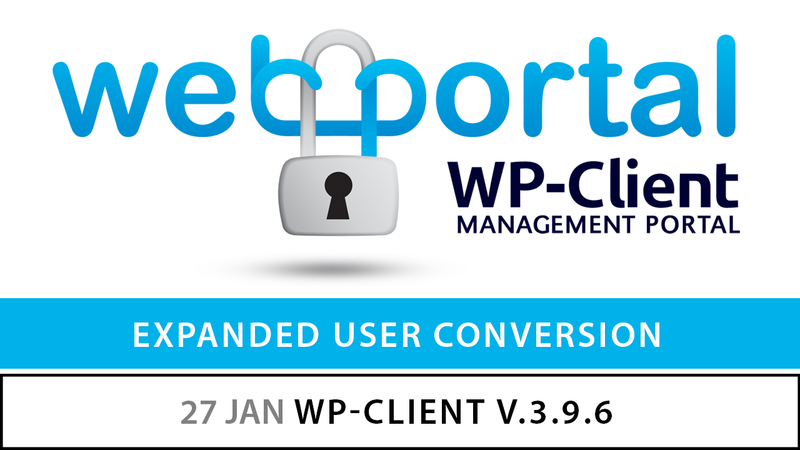 We are proud to announce the release of WP-Client v. 3.9.6! This upgrade and other recent releases include several feature requests, in addition to the usual tweaks, bug fixes, and functionality improvements. The first big addition to this latest release is a simple one, but highly useful nonetheless. In recent updates, multiple new capabilities have been implemented for the WPC-Manager user role. These new capabilities (related to the “wpc_client_private” shortcode, and private messaging) give admins even more control over exactly what their WPC-Managers have access to. With these new capabilities, WPC-Managers can be given the ability to view content that is protected inside of “wpc_client_private” shortcodes that are being used within an installation, similar to the access that an admin has over the same function. This gives admins the option to delegate management of this content to a WPC-Manager, instead of needing to handle it themselves. Additionally, a capability has been added that allows WPC-Managers admin-level access over their assigned client’s private messages, giving admins yet another avenue for delegating everyday duties to their management staff. Another addition in this recent update is related to “converting” users. As of WP-Client v.3.9.5, you will now be able to set specific rules related to how users are auto-converted in your installation. For example, you may have it set to have both Subscribers and Contributors to be automatically converted to Clients, but perhaps you want them to be converted in different ways (maybe you want Contributors to keep their old role permissions, but you want Subscribers to be fully converted to Clients). With the new user conversion settings, you can set individual rules for each scenario, allowing you to setup each conversion exactly how you would like. This gives you completely control over what users are converted, what Circles they are assigned to, and what the end result of the conversion is, on a role-by-role basis. This release also include some smaller feature additions, such as new options for SMTP, as well as some fixes related to payment processing. Additionally, a few issues related to Private Messaging have been resolved, mostly related to the CC functionality. A few other minor bugs have also been addressed, in addition to the normal streamlining and text updates. Sign up for our Newsletter to be informed of updates, industry news, and discount offers from WP-Client. We promise to never sell or disclose your email address to any 3rd party, and you are able to unsubscribe at any time with just one click.